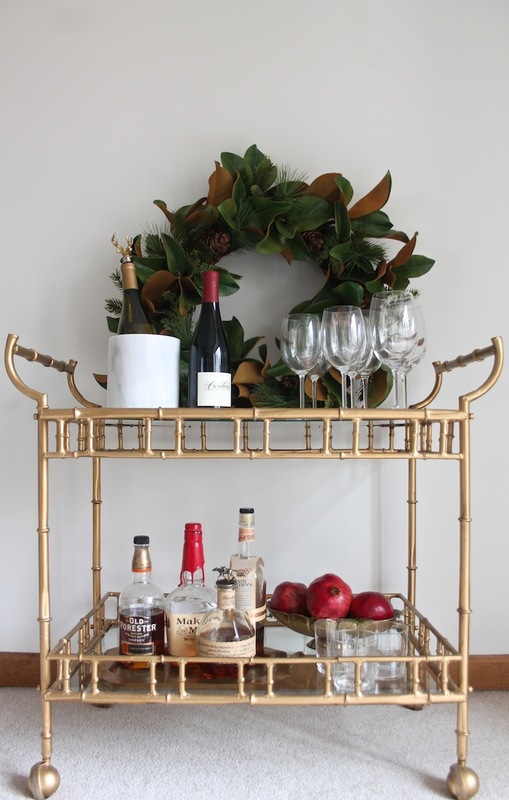 Bar carts are chic and glam additions for entertaining anytime of year, but we love the look of bar carts styled especially for the holidays. 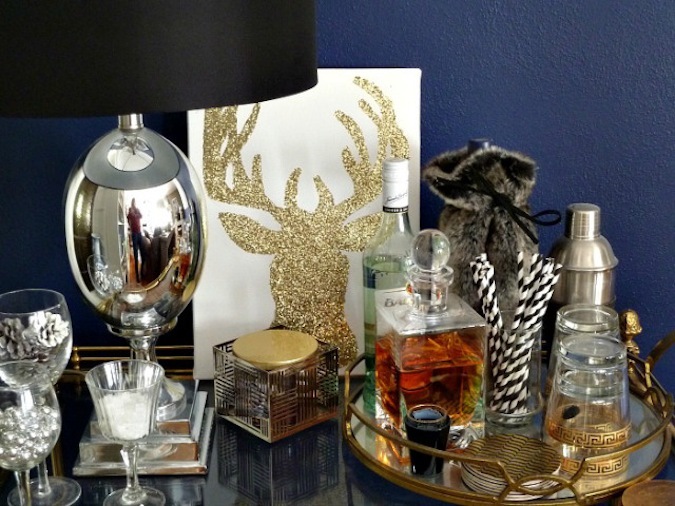 Of course, they’re perfect for a modern room, but no matter your design aesthetic there’s a bar cart look that will work for you. Here are a few of our favorites right now. 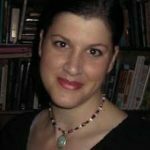 It’s a celebration! Enjoy! 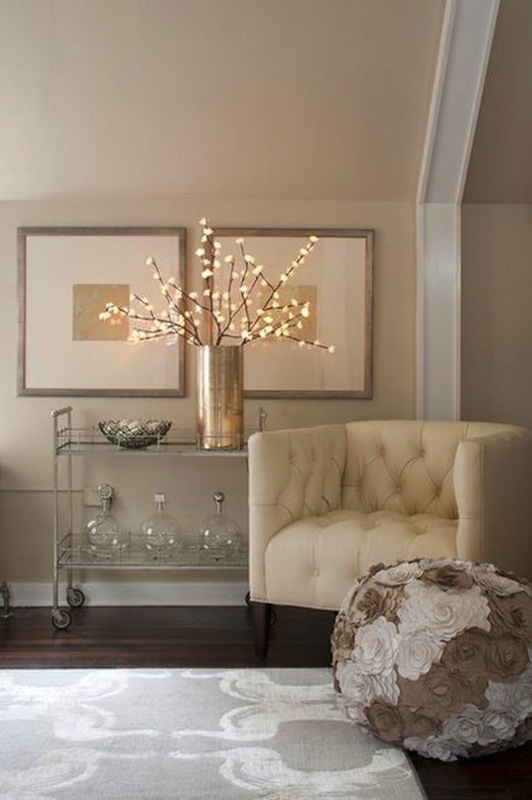 Black and white accents with a touch of fur are perfect for this stylish faux bamboo bar cart. 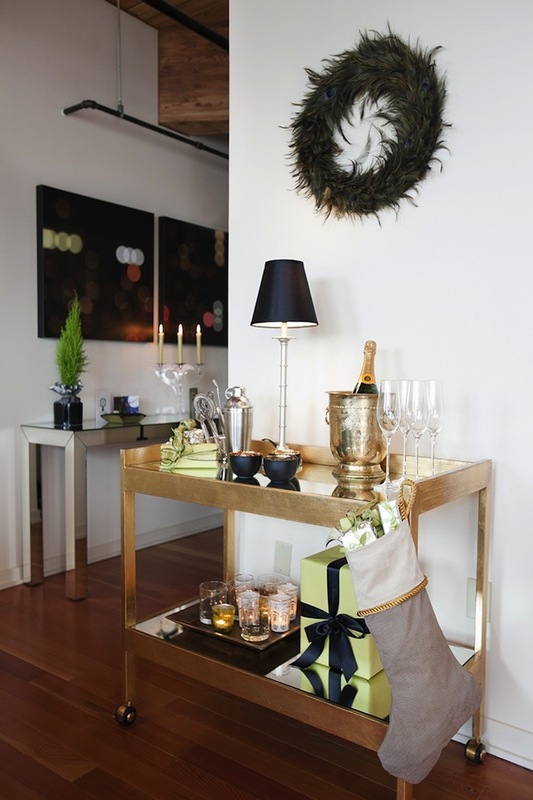 Sleek and contemporary with mirrored shelves, this bar cart is at the ready for a celebratory glass of champagne. 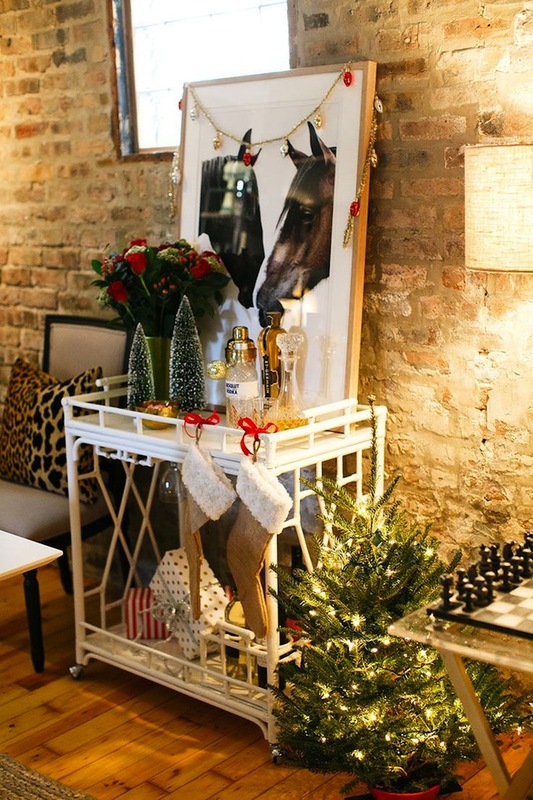 All decked out for Christmas, this white bar cart gets an equestrian vibe with a horse portrait set against a background of brick. 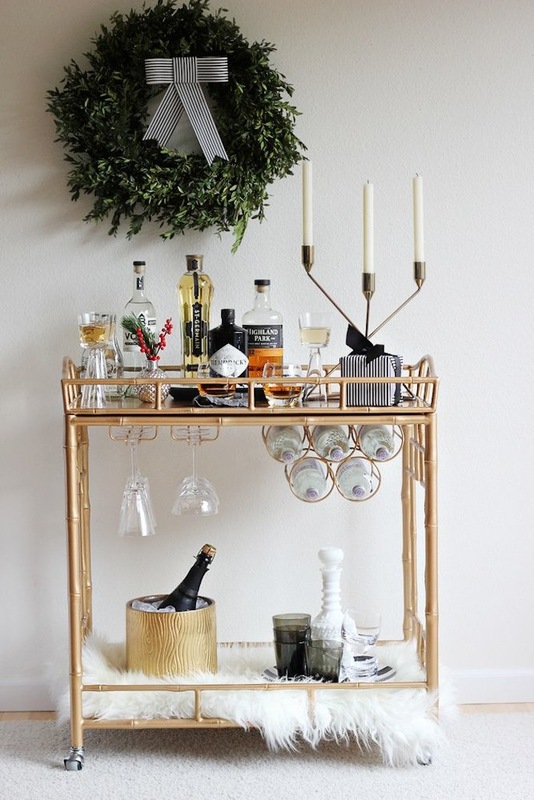 This silver toned bar cart is at the moment styled for a beautiful holiday look rather than functionality for a part. We love the lighted branches. No color combination says Christmas like green and red. 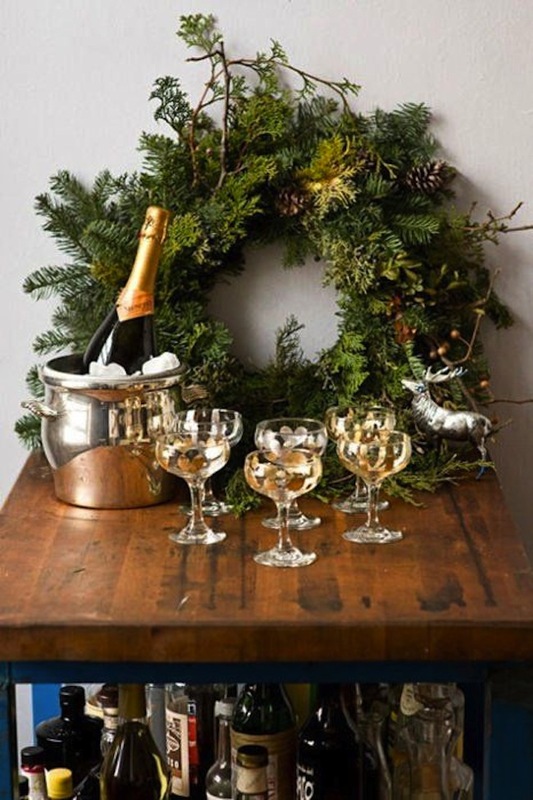 An elegant wreath of greenery and pinecones is topped off with magnolia leaves. 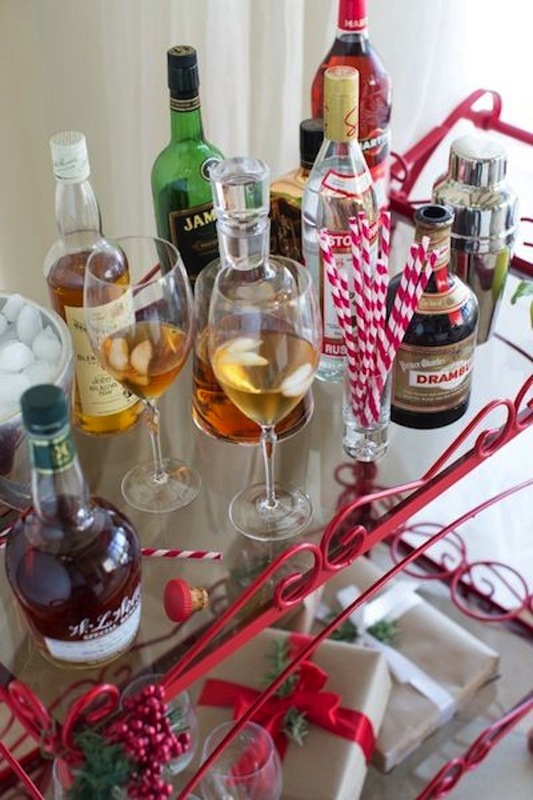 Must be ready for a Southern holiday celebration. 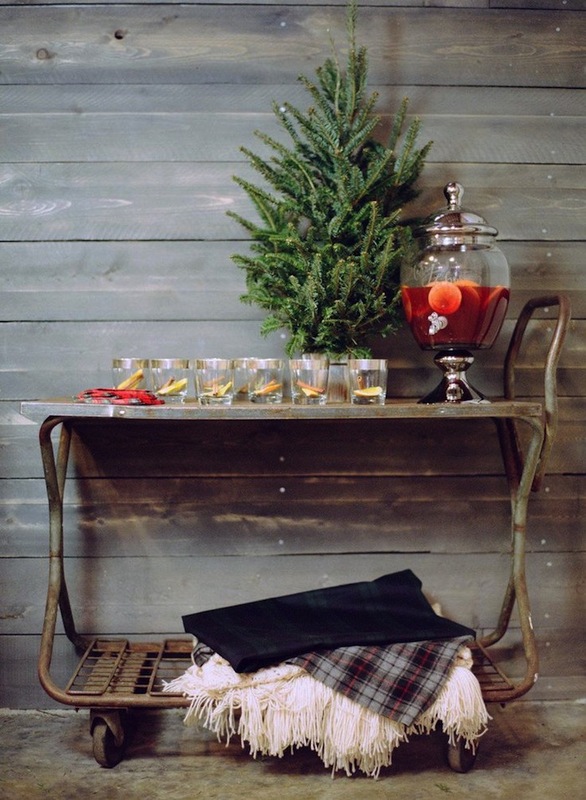 A rustic bar cart is just right for outdoor entertaining. 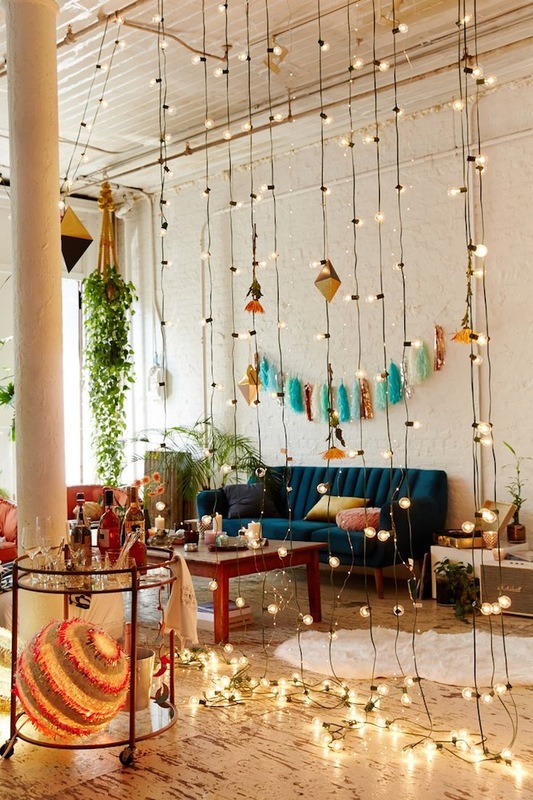 With cozy throws and warm drinks, it’s a party waiting to happy. 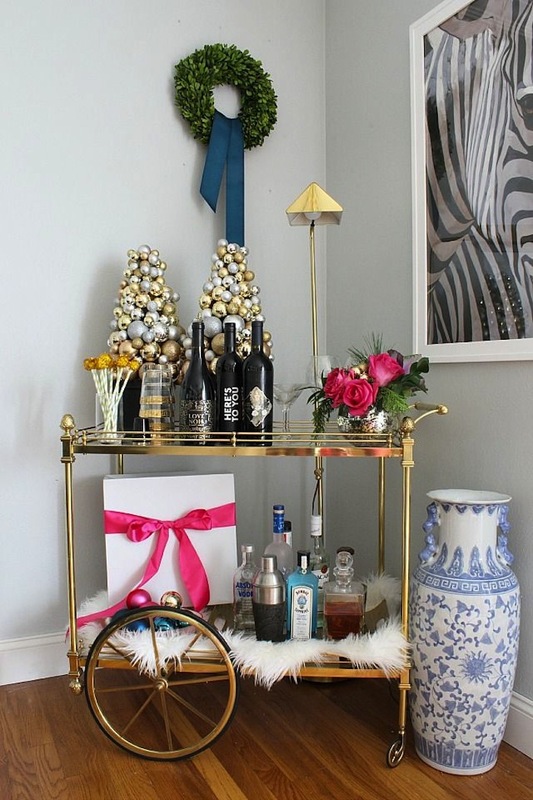 This elegant bar cart looks cheerful and bright with pink, gold and silver accents. Let’s get the party started. Happy New Year! 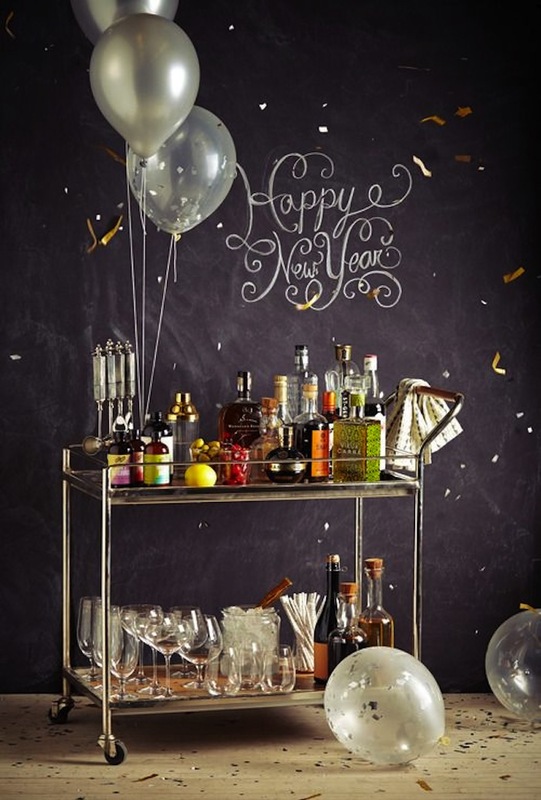 A stainless steel bar cart is set up for celebratory drinks. Love the balloons and the confetti, don’t you? Here’s to you! 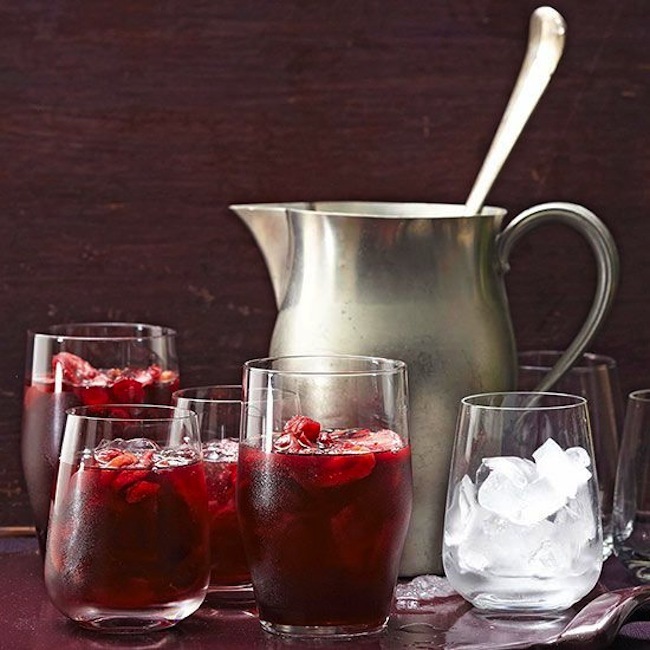 Better Homes & Gardens offers this lovely holiday drink recipe–Apple-Cinnamon Winter Sangria. 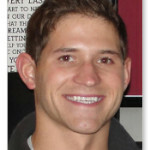 Image Sources: BHG.com; Blog.Anthropologie.com; Bliss-AtHome.com; StyleMePretty.com; ApartmentTherapy.com; CamilleStyles.com; JulieBlanner.com; Pinterest.com; TheEveryGirl.com; CocoKelley.com; HankAndHunt.com; UrbanOutfitters.com.